The Office’s Meredith Palmer ain't ever been called no narc. Einstein, sarcastically, you bet. 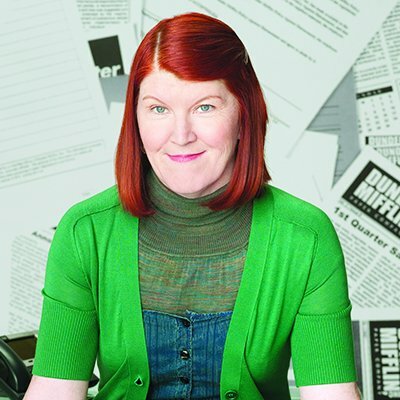 Kate Flannery is here for you & your questions in this fantastic Q&A. Meredith Palmer ain't ever been called no narc. Einstein sarcastically, you bet. "That's me!" Welcome to the Supercon floor Kate Flannery! She's is most known for her portrayal of the iconic Meredith Palmer from the hit show The Office! You may also know her for voicing Carol aka Silver Spark in OK K.O. : Let’s Be Heroes and Barb Miller on Steven Universe. She's here for you & your questions in this fantastic Q&A.